This is the view of the stage from the mezzanine, before the Sunday evening performance of Mary Poppins. 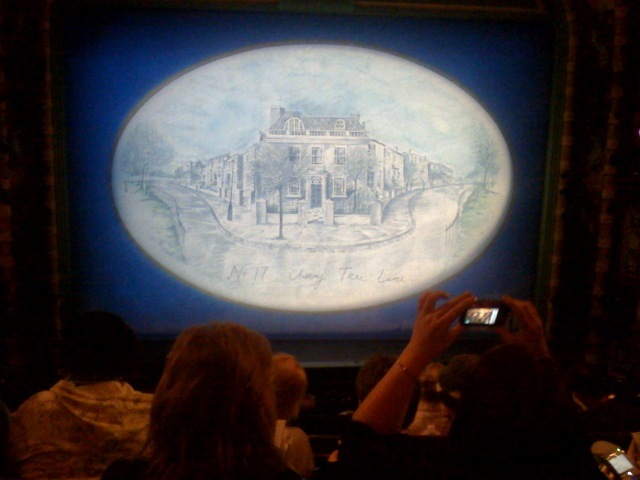 The curtain shows a picture of the house at 17 Cherry Tree Lane, where the Banks family lives. You're not supposed to take pictures inside the theatre, but the Disney folks who run this one didn't say anything when people snapped photos before the curtain went up.